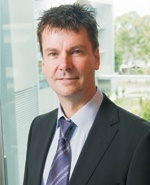 Professor Lithgow has made major contributions to microbial cell biology and genetics. He is one of Australia’s leading yeast geneticists with a strong record of using yeast as a model to understand complex aspects of cell biology. His work on mitochondrial biogenesis and particularly the protein import pathway into mitochondria places him amongst the top molecular microbiologists internationally. His development and use of bioinformatics has enabled the mechanics of protein transport, particularly the “molecular machines” that drive it, to be characterized in bacteria, Giardia, trypanosomes and other microbes. This research has provided a significant understanding of how molecular machines evolved.